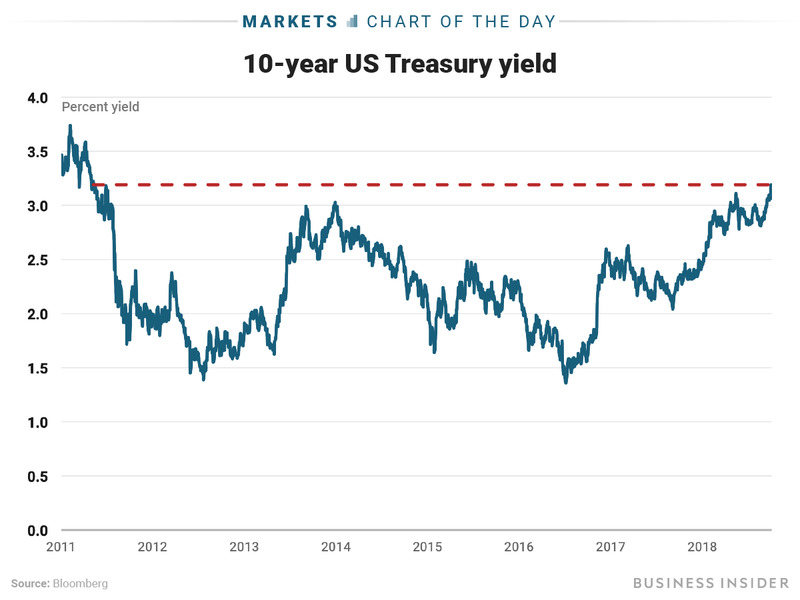 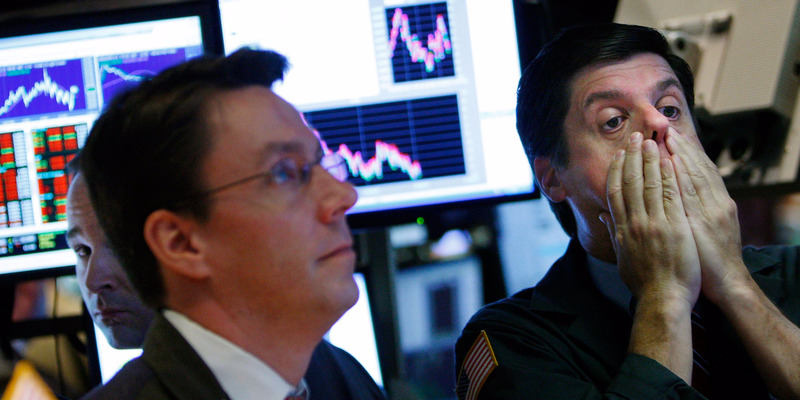 The US 10-year Treasury yield surged as high as 3.23% to its highest level since mid-2011, and other bond markets around the world joined the action. 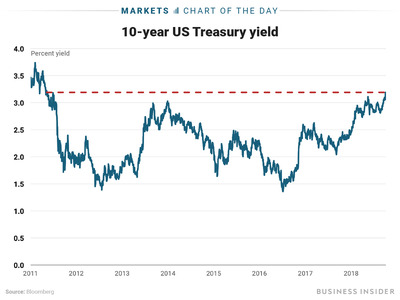 The increase followed strong economic data in the US, which fuelled speculation the Federal Reserve would hike interest rates quicker than expected. The worldwide surge started in the US on Wednesday after private-sector payrolls beat estimates, fuelling speculation that the Federal Reserve would raise interest rates more quickly than expected.